Profile of a Female Motorcyclist: Meet LC a.k.a. @SmartBikerChick | Helmet or Heels: I'm comfortable in either! ← What is the best advice you ever received? Y’all have heard me sing the praises of social media. Well, I have another verse to add by the name of LC a.k.a. 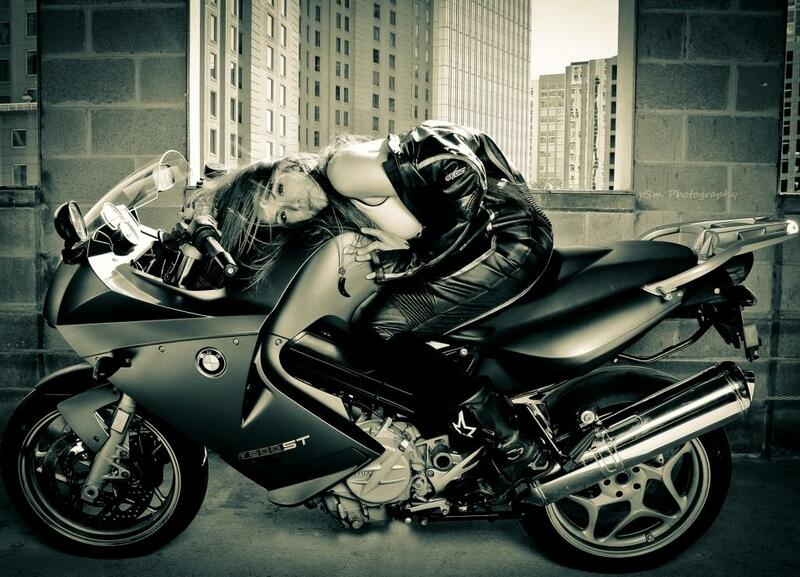 @SmartBikerChick from Atlanta, GA, but considers herself a world traveler. Follow her journey on Twitter. How long have you been riding a motorcycle? I caught the motorcycle bug unexpectedly about five years ago. How did you learn to ride? I took a motorcycle class to get my feet wet. Then, my fellow veteran riding friends taught me the real ropes through the mountains. How many have you owned? I’m loyal… one! Why did you want to ride a motorcycle? After riding on the back of a few bikes, I decided it was time to stop dating guys just because they had a bike and to learn how to ride for myself. Freedom! Tell us about your riding. Riding is pure enjoyment; I ride for the fun of it. What is the longest trip that you’ve taken on your cycle? Most memorable trip was 450 miles through heavy rains… it was quite an adventure! I have stories for life from that weekend. What do you do when you’re not riding? There’s life outside of riding? ?☺Okay, maybe there is. I have too many other interests to list here. This entry was posted in Lady Riders and tagged Atlanta, BMW, Female Motorcyclist, first motorcycle, Georgia, license, motorcycle, riding, support and encouragment, women. Bookmark the permalink. Yay! How cool. I respect anyone who rides in the rain. Helllo. Nice bike for a first one. And your only one so far, which means it was a great first choice. Always nice to hear of other lady riders enjoying life on two wheels.